Four new models offer a variety of payload capacities and drive train options. Long-time light transportation provider Cushman has introduced the Hauler line of utility vehicles, including four models with electric or gasoline power and payloads of 800 to 1,200 pounds. Each of the models offers a limited slip differential option, has a standard brush guard and integrated front bumper to protect the body, lights and finish in rough environments. Large headlights are positioned for all around use from dusk till dawn and can be fitted with optional high-output LED units. 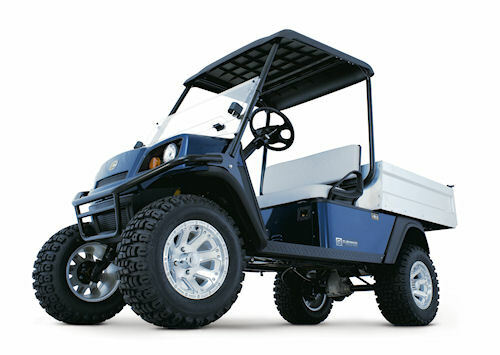 Cushman's new line of Hauler utility vehicles is led by the Hauler 1200X, available as an all-electric model or powered with a 13 horsepower Kawasaki engine. Hauler 800 – is available with a 48 VDC electric drive train, or a fuel-efficient Kawasaki 13 horsepower engine with a hemispherical combustion chamber. The 800 has a maximum capacity of 800 pounds, a 5.9 cubic foot cargo bed and bench seating for two. Hauler 1000 – is capable of hauling 1,000 pounds in a 9.6 cubic feet cargo bed, and is powered with a 48 VDC zero emission drive train, motivated by eight 6-volt batteries. The 1000 can be fitted with a larger cargo bed of 14.9 cubic feet. Hauler 1200 – is the largest of the Hauler line with a 1,200-pound capacity and a 9.6 cubic feet cargo bed. The 1200 comes with a 13 hp. Kawasaki, seats two people and can be equipped with the larger bed. Hauler 1200X – can be had as an electric version or gas powered, and sports six inches of ground clearance with the 48 VDC electric drive train, or 5.3 inches with the 13 hp. Kawasaki gasoline engine. The electric model has a 1,000-pound capacity, while the gas model is rated for 800 pounds. Both models come with the 9.6 cubic feet cargo bed, and can be equipped with the larger bed as an option. For more information, click on www.cushman.com.